This large 100% natural muslin swaddle gives you enough material to tightly wrap up your little one and keep them feeling warm and comfy. 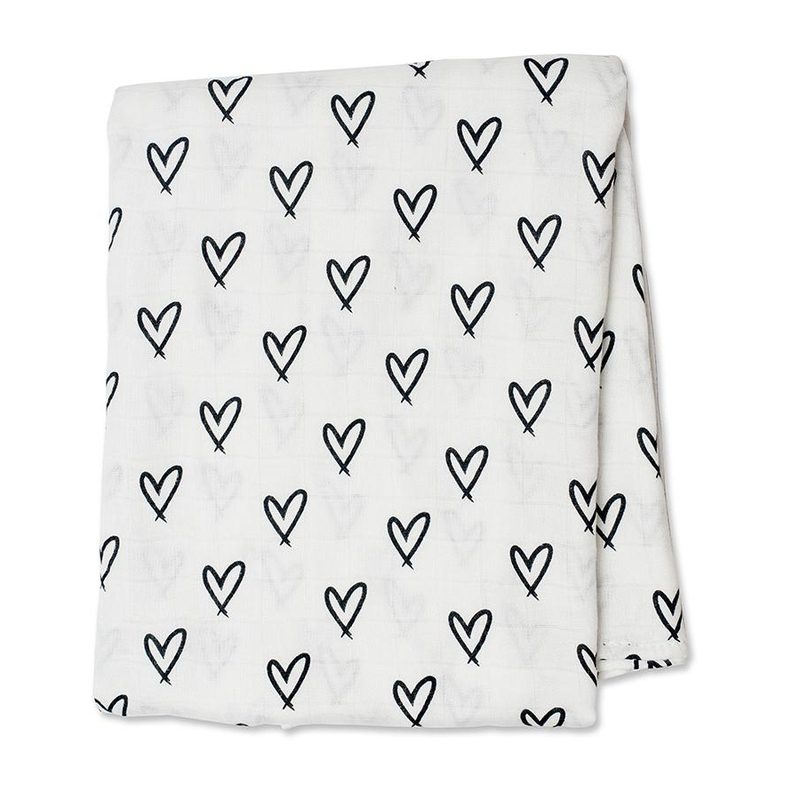 This blanket has an adorable heart design printed onto a safe, soft and sustainable bamboo fibre. Bamboo is incredibly breathable and comfy, plus it has less impact on the environment than cotton wool. The material is soft on babys skin and can be used from birth; ensuring no nasty rashes or skin irritation. This blanket can be used as a breastfeeding cover, a comfort blanket, a changing pad and much, much more. Size: 47? x 47? (120cm x 120cm). Wash at 30oC or less. There are currently no questions to display about Lulujo Bamboo Swaddle Blankets - Hearts.